“The year 1637 marks the era of the first English settlement on the Cape. 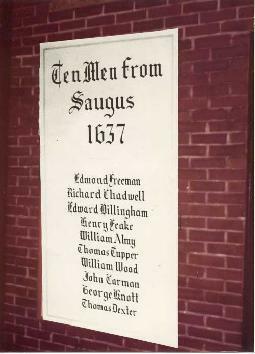 The settlement at Sandwich was projected by Mr. Edmund Freeman and others who, April 3 of this year, obtained a grant from the Colony of Plymouth and at once with a large number of families from Lynn, Duxbury and Plymouth but chiefly from Lynn, the ancient Saugus, removed to the location designated. The settlement was begun this year under very favorable auspices although it was not regularly incorporated as a town until about two years after. Click each name below to read a transcript of speeches given at the Sandwich 375th anniversary celebration in 2014. 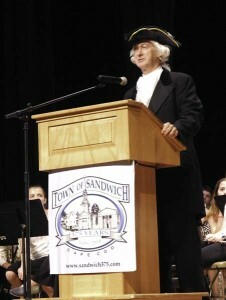 This entry was posted in 375th Anniversary, Articles, History of Sandwich. Bookmark the permalink. Very interesting stories. I am visiting Sandwich this summer and very excited to see all of my relatives who are buried there. Edmund Freeman is my 10 X great grandfather: Thomas Tupper my 11X great grandfather and Benjamin Nye my 10X great grandfather. So we will not doubt have a lot of graves to visit. 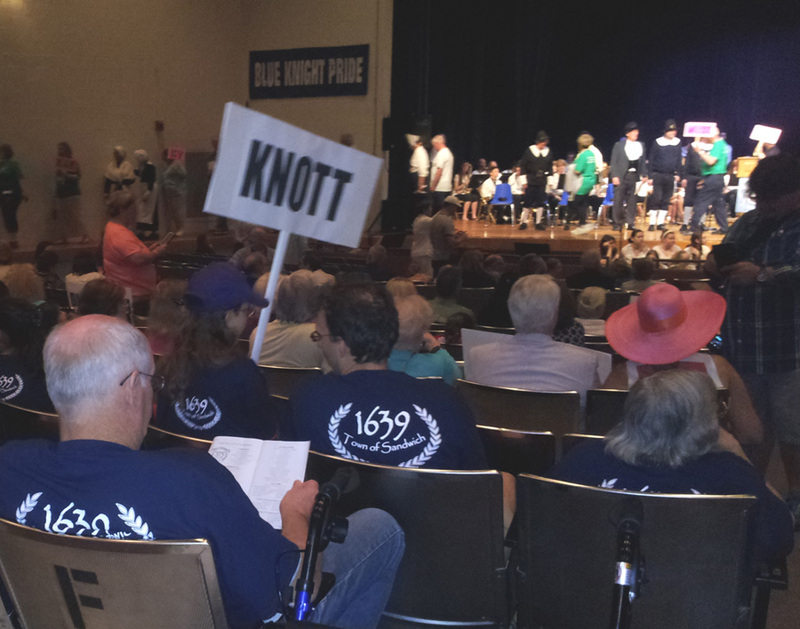 What a wonderful legacy it is to have the historical records that Sandwich does! I myself am of the Tupper family, with Thomas I being my 9th Great Grandfather. Amazing stories that would never have been know to me and my family except by the great countrymen and countrywomen of Sandwich. I salute all of you. I have an original 1621 dated indenture on vellum signed twice by Edmund Freeman, It mentions his first wife, Bennett, his brother William and his father Thomas. It mentions Billingshurst as his home. Would love to see this, could you email (wd40k6@gmail.com) me a copy… I am descendant and a DNA genealogist. I am a descendant of William Almy. One of the last Almys in our branch of the tree because I have all sisters and my father, Clifford J. Almy’s brother, Kenneth Almy had no children. My father’s father was Judson Almy. Looking back at how I came to be, my long past relatives gives great pride and admiration as to what it took for me to be where I am today. I too am a descendant of William Almy although the name in our branch vanished with my great-grandmother. I live over in the Portsmouth, RI area where William Almy moved after leaving Sandwich. I am descended through his son Christopher Almy (I found his grave here in Portsmouth) and there are many generations of Almys buried in the area. Thank you for your lovely letter, Edmund Freeman. I appreciate all that you gave done in Massachusetts and I thank you for being supportive of Wiliam Vassall. He, like yourself, is one of my favorite ancestors! I plan to visit Sandwich in mid June and perhaps I can find your grave. It sounds so interesting. My connection to you is through a long, long line of Perrys. My ancestor, Edward, was married to your daughter. As you well know! The Perry name has continued to be a middle name for my son and his grandson. Yes, Henry was married to Hannah Perry in 1652. They are my 8x great grandparents. 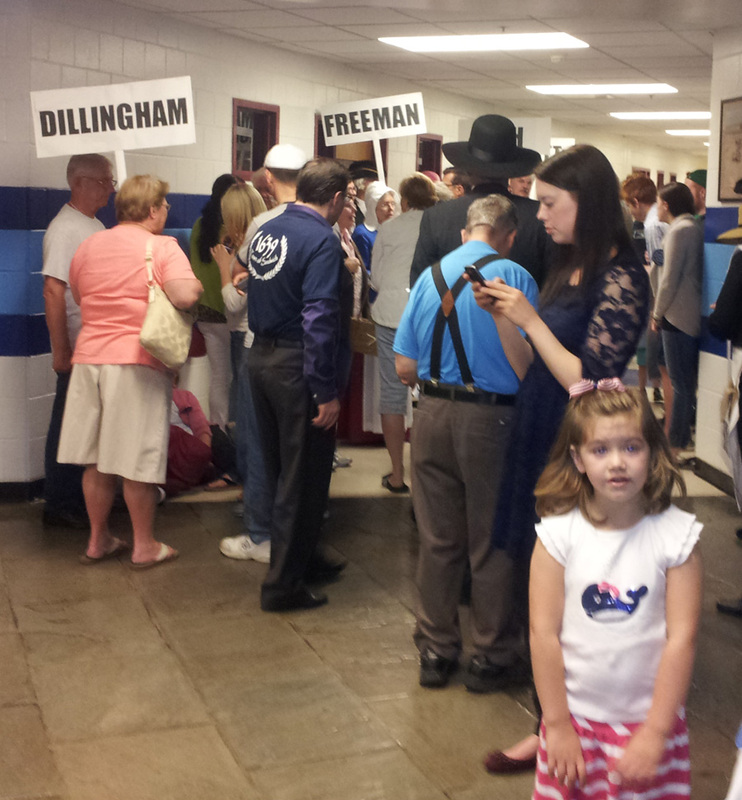 Edward Dillingham is my 9th great grandfather. His wife was Ursula Carter. My next ancestors are Winges.